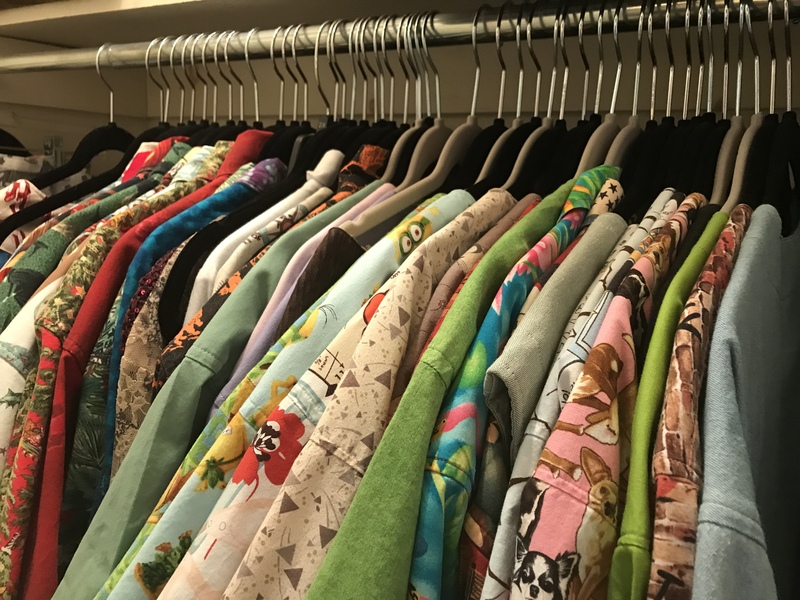 The Threads that Unite Us! 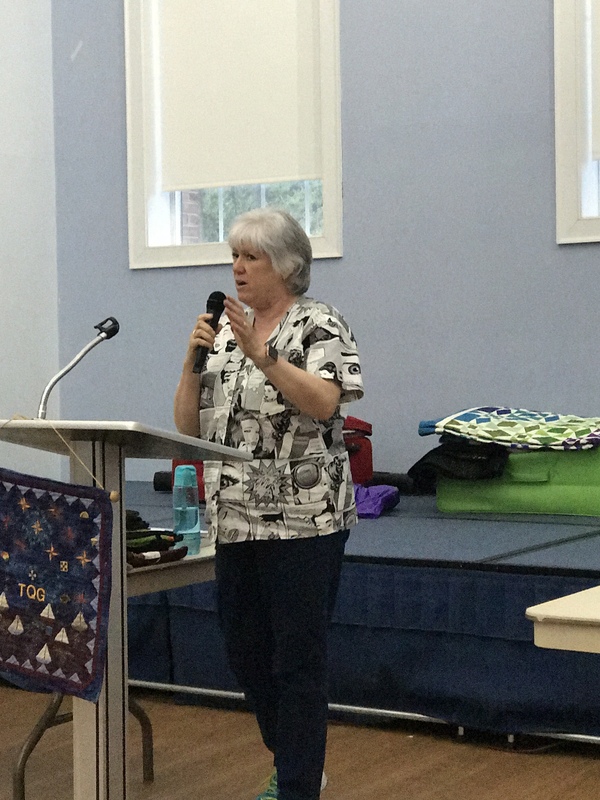 I just got back from the Mid Atlantic Quilt Festival in Hampton, Virginia. It is not that I travelled a long distance, I only live about 30 minutes away. 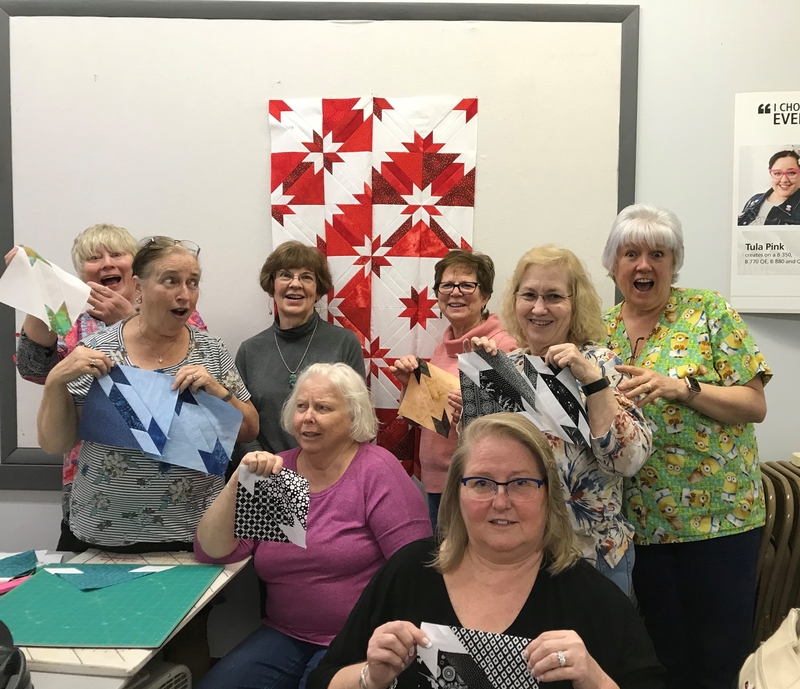 I spent most of my time working in the Quilters Dream Batting Booth sharing information about the best batting made for quilters and selling quilts donated to Hopes & Dreams to raise money for ALS research. We had a great weekend! 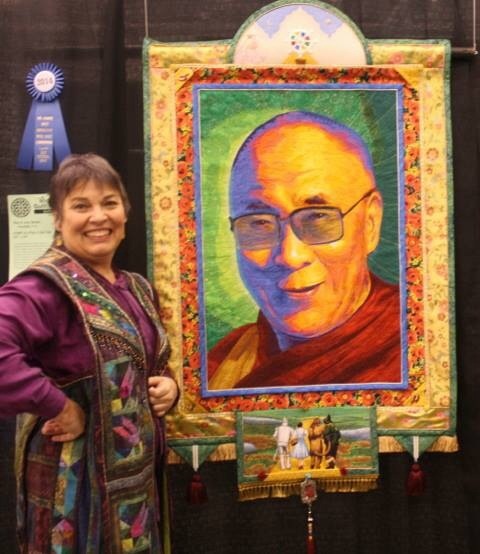 I wanted to give a shout out to local artist Meryl Ann Butler for winning a Blue Ribbon for “No Place Like Om”, congratulations! 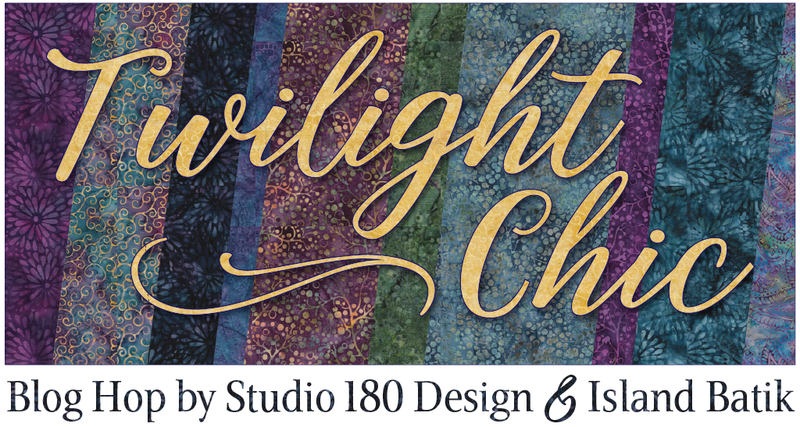 I am also excited to share that two of my original quilts will be included in the exhibit “Stitching it all Together – The Threads that Unite Us” at the Virginia Quilt Museum from May 6th till August 23rd 2014. Above is a picture of my original designed quilt “In the Shadow of the Mill”. I lived in New York Mills, NY where there were textiles mills from before the Civil war to 1956. Members of my family had worked there for over 100 years. My sister took a picture looking down the steps in September 2008. That picture spoke to me. 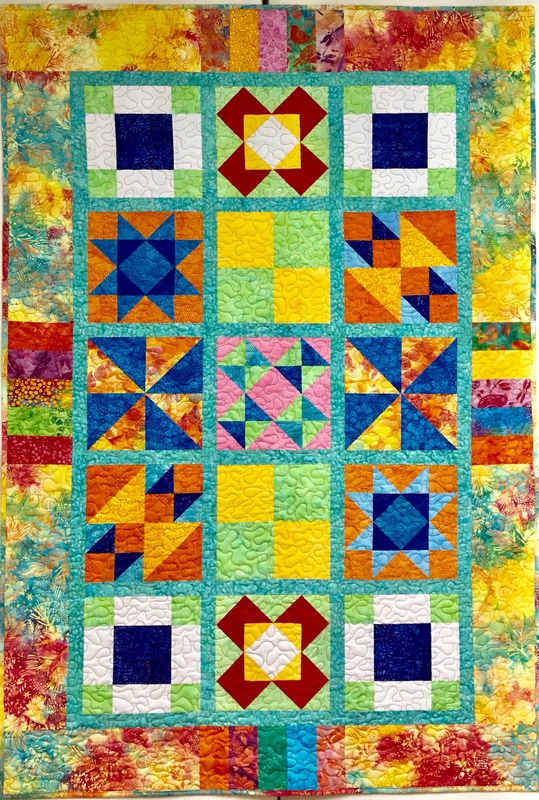 I made it my goal to make a quilt out of it and enter it in my home town quilt guild show. It won Best in Show, Best Original Design and Best Quilting and Piecing. In 2011 it won the Grand Prize and First Place in Farmers Museum “New York State of Mind” Quilt Contest in Cooperstown, NY. It was on display in the Fenimore Art Museum, also in Cooperstown. 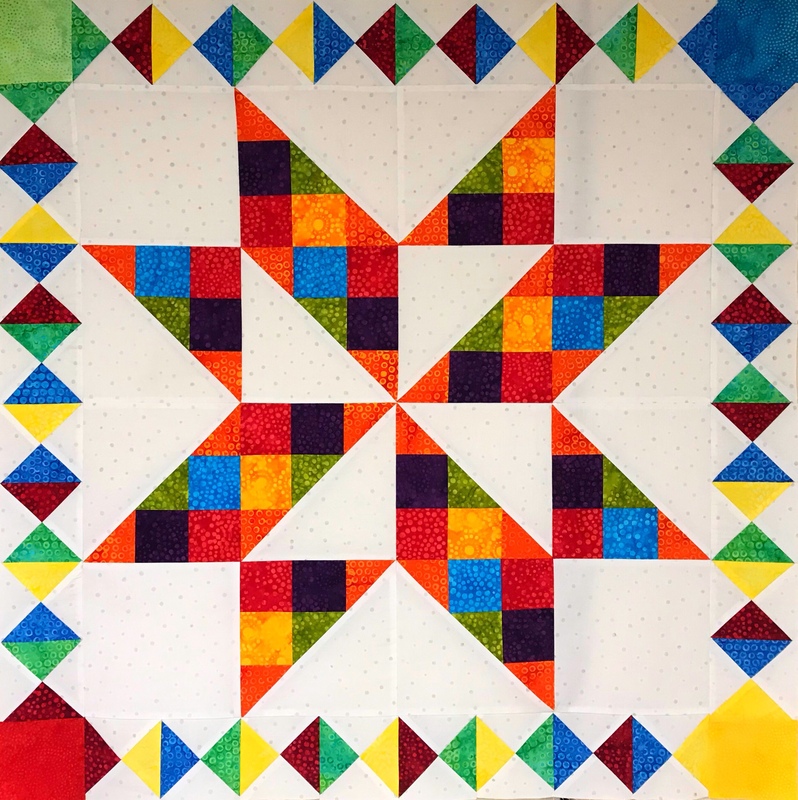 The quilt was quilted by Susanne Secoskey of Virginia Beach, VA. 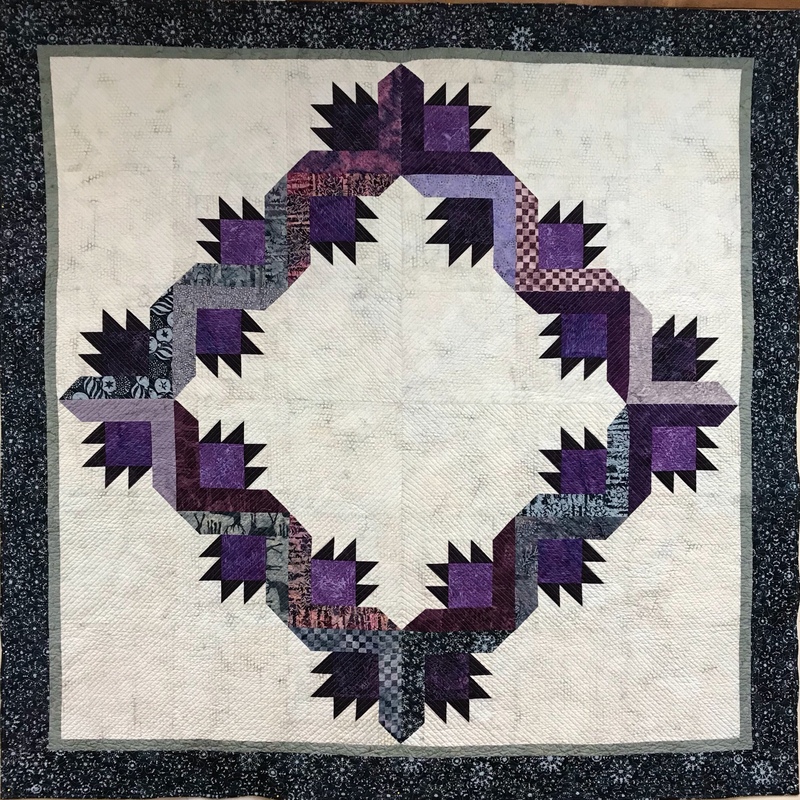 Above my original design “Remember Me”, 76” by 86”: Consists of pieced Lemoyne star blocks and machine embroidered blocks. There are 22 machine embroidered obituaries from my family the McCorducks, Lansings, and Fischers, the oldest is from 1900 (114 years ago). This won First Place in the 2013 Mohawk Valley Quilt Club 2013 Show in Utica, NY. 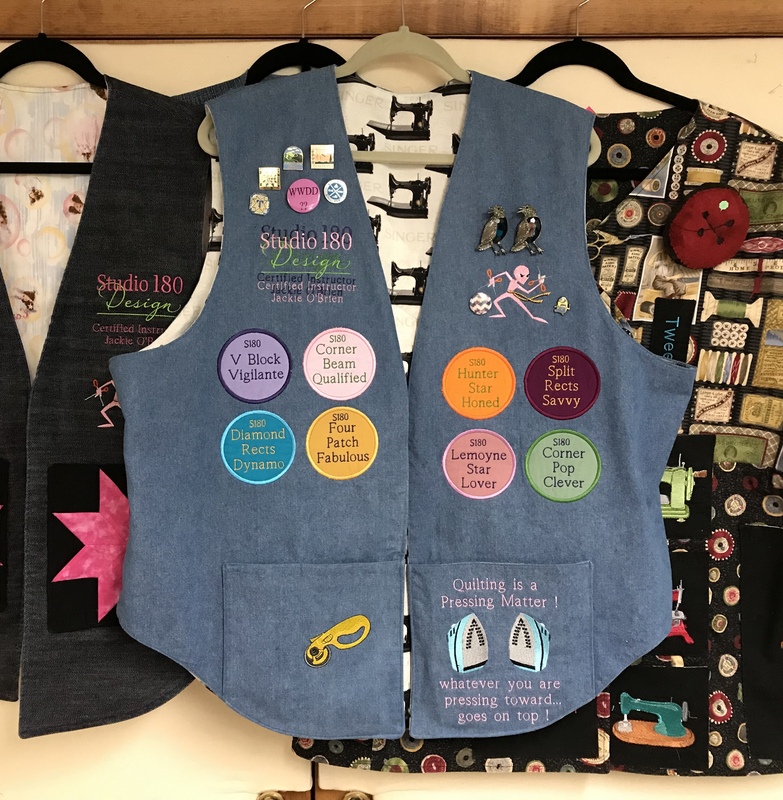 This entry was posted in Quilting My Family's Story and tagged Hopes & Dreams, Quilters Dream Batting, quilting, Quilts, Story quilts on March 4, 2014 by ifthesethreadscouldtalk. Thank you. 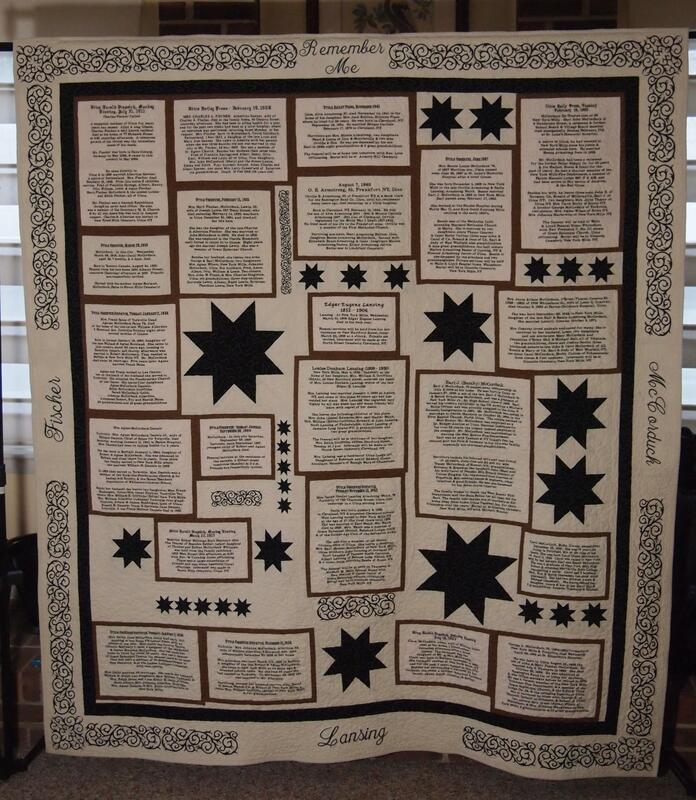 I love to tell my family’s story through quilts. I’m working on a cemetery quilt. Hey Jackie, thanks for the shout out! 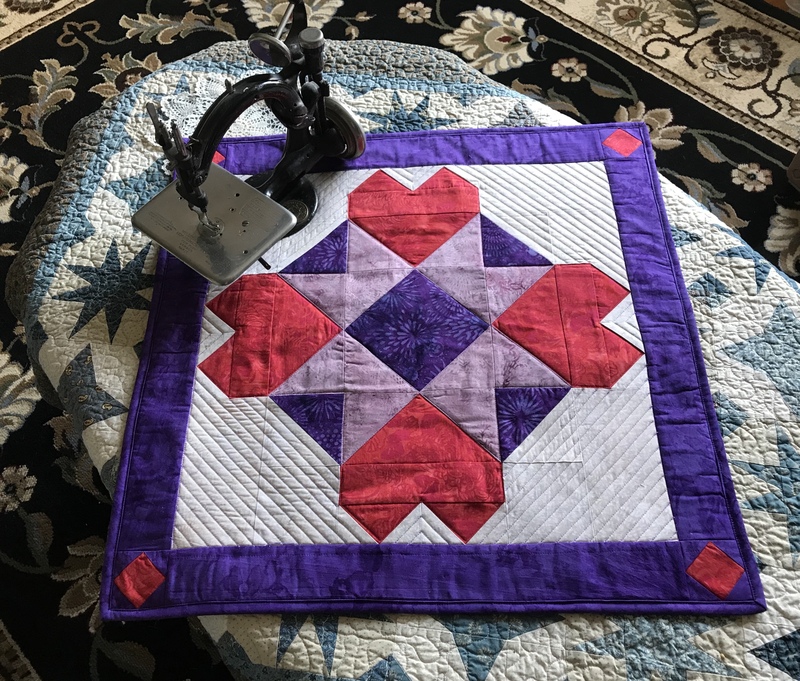 I am glad to see pix of your quilts too – love that spiral staircase one. I didn’t know you were from NY, I am too! (went to Syracuse U and I made some visits to Utica as a child…born in Queens and grew up on LI.) 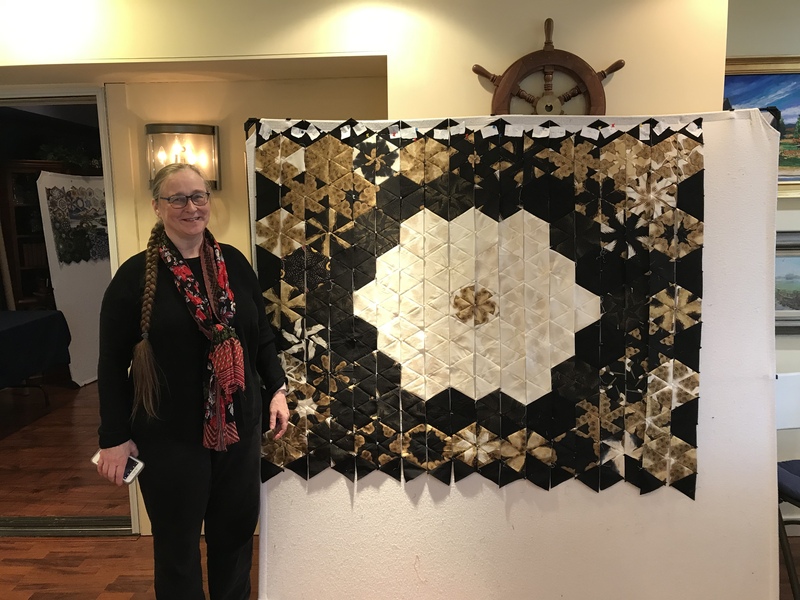 Congrats on your award for the “Shadow of the Mill” quilt! Thank you Meryl Ann, I have admired your work for a long time!